Imagine the possibilities. . . Creating comfortable and inviting outdoor spaces for your family, friends and guests is easy and affordable using the dynamic collection of Awning and Shade Products from ShadePro. 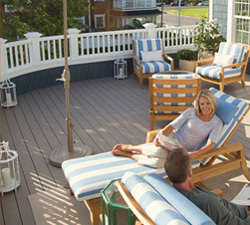 Awnings not only provide a haven from the hot sun or a summer shower, but reduce energy costs as well. By blocking the sun from the outside of the window, awnings greatly reduce the amount of heat entering the home, saving on cooling (AC) costs. 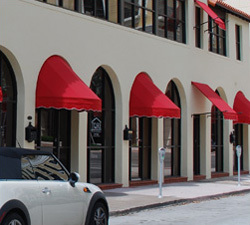 Awnings may provide shade and protection from the undesirable properties of the sun’s radiation. UV rays may damage material surfaces in your home such as furniture, flooring and valuable objects. Infrared rays cause excessive heat build up in perimeter rooms. Well-being with numerous product styles and fabrics to choose from; you can easily achieve the perfect look no matter what the application. Read what Mike Holmes has to say about awnings!